In Advertising > Disney Collectibles > Show & Tell. - Made of multi-colored hard plastic body with a rotating bobble-head. 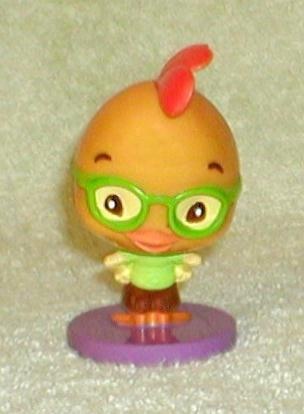 ** Chicken Little is a 2005 American 3D computer-animated comic science fiction family comedy film produced by Walt Disney Feature Animation and loosely based on the fable of the same name.